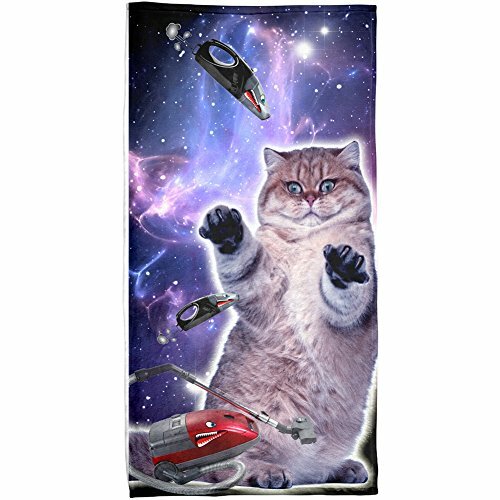 Galaxy cats taking over space again but this time with vacuums! This Animal World design is printed on a polyester beach towel. The dye sublimation printing process creates slight imperfections that are unique to each garment. Towel Dimensions: 30" x 58"